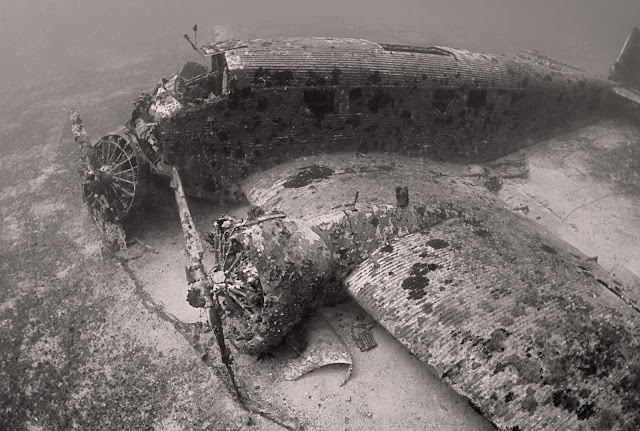 According to www.aviationarchaeology.gr the Ju-52 located close to Kea island, Greece, is among the most well-preserved WW2 aircraft that have ever been found in the Greek seas. The Ju-52, with construction number Werk # 6590, was lost in 1943 after ditching northwest of Kea. 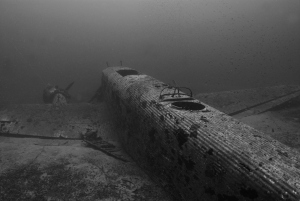 The wreck of the aircraft is located at the depth of 65 meters. This specific “Tante Ju” (the name comes from the German nickname for the Junkers 52) was discovered through a routine report of a Dornier 24 (Werknummer 3214), which from August 13, 1943 belonged to the German Maritime Rescue Squadron 7 (Seenotstaffel 7), based in Faliro, Athens, Greece. According to this entry, the Dornier 24 on September 6, 1943, took part in the search and rescue of a Junkers 52, with serial number (Werknummer) 6590, the I/TG 4, i.e. the First Group (I=Erste Gruppe) of Transport Wing 4 (TG 4 = Transportgeschwader 4). The aircraft was lost after ditching in the northwest of Kea, because of engine fuel problems. The crew and passengers were transferred to Athens, with the loss of one person and two injured.